The councils of the People’s Republics of two southeastern cities of Donetsk and Lugansk won’t postpone the referendums on their regions’ future as part of Ukraine and will hold them as planned on May, 11, the cities’ anti-government activists said. The decision of holding a referendum as scheduled was approved on the council of People’s Republic of Donetsk unanimously. “There are millions of people who are ready to cast their votes,” he added. 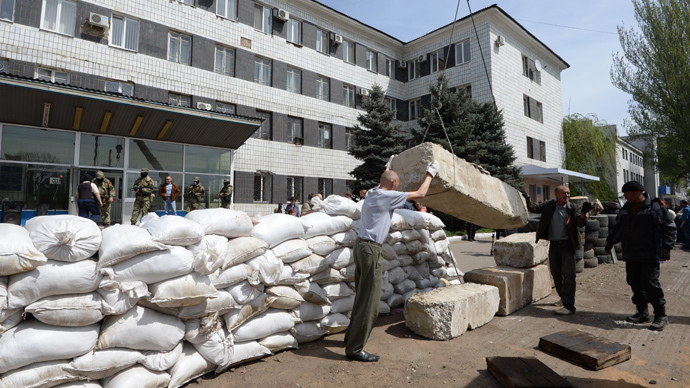 Meanwhile, the council of the People’s Republic of another eastern Ukrainian city, Lugansk, has decided not to postpone the upcoming referendum and to organize it on May 11, said Vasily Nikitin, from the press service which is organizing the referendum. “The referendum will take place as planned. 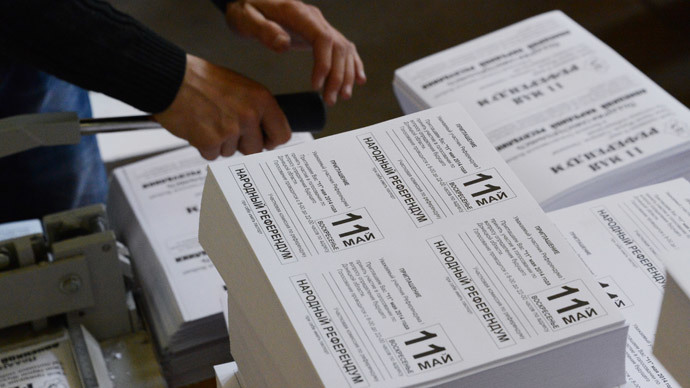 The ballots have been already arrived at the polling stations,” said Nikitin. He also added that the results of the referendum on the region’s future will be announced Monday. Leonid Slutsky, the Chairman of the Russia’s State Duma Committee on the Commonwealth of Independent States, said that the refusal of Donetsk and Lugansk regions to postpone the upcoming referendums is their sovereign right. Russia by proposing to postpone the referendums wanted only to “solve the conflict peacefully and not to allow further escalation of crisis in Ukraine,” he said. Meanwhile, the Kremlin will analyze the situation on eastern Ukraine’s refusal to postpone the referendum, said President Vladimir Putin’s spokesman, Dmitry Peskov. He added that Kremlin hasn’t yet received any proposals from the Organization for Security and Cooperation in Europe (OSCE) on Ukraine’s crisis. 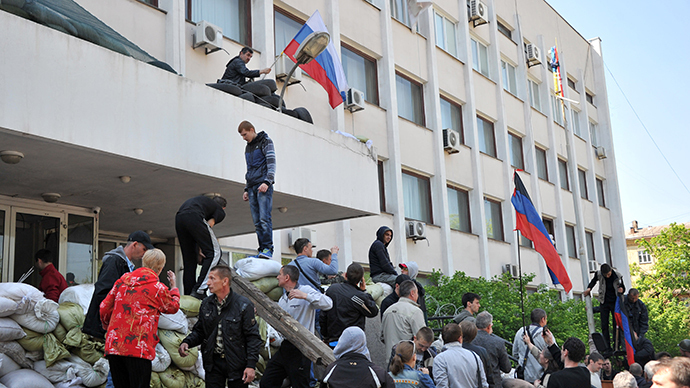 In April, activists in the Donetsk and Lugansk regions, announced they were planning to hold a referendum on their regions’ future as part of Ukraine on Sunday, May 11. On Wednesday, Russian President Vladimir Putin called on anti-government protesters in southeastern Ukraine to postpone their May 11 federalization referendums. “We are calling for southeast Ukraine representatives, supporters of federalization of the country, to postpone the May 11 referendum to create the necessary conditions for dialogue,” Putin said at a press conference with OSCE Chairperson-in-Office and Swiss President Didier Burkhalter in Moscow. 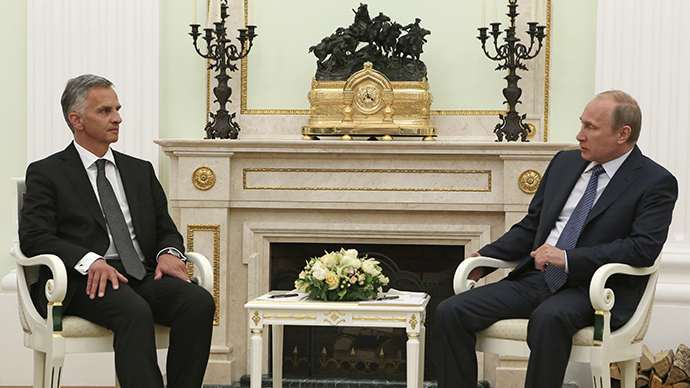 Ukraine’s coup-appointed PM Arseny Yatsenyuk criticized Putin’s proposal to postpone the referendum. “The fact that Russia asks to postpone some referendum? Then we need to inform the Russian president that Ukraine hasn’t planned any referendum on May 11. And if terrorists and separatists, who are supported by Russia, were ordered to postpone what wasn’t planned, then it’s their internal affairs,” he said. Kiev on Thursday said the military operation in the south-east of Ukraine will continue, regardless of the decision made on the regional referendum. 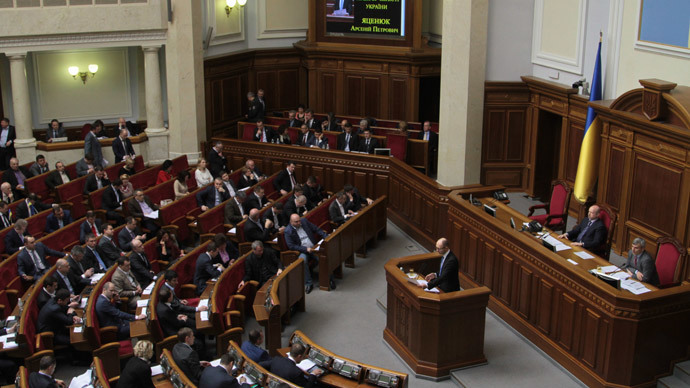 Earlier Thursday, the head of Ukrainian National Security and Defense Committee, Andrey Parubiy, said that the military operation in the southeast of Ukraine will continue, regardless of the decision made on the Donetsk regional referendum. 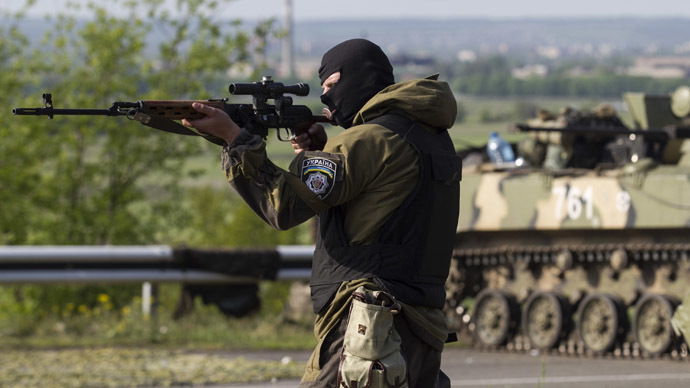 “The counter-terrorist operation will continue unhindered, despite the presence of terrorist and insurgent groups in the Donetsk region,” he said.